This comes from South Central's album "The Owl Of Minerva" which is basically a compilation of all the bands singles to date. My personal favorite here is "Nothing Can Go Wrong" which was originally released as a single through Art Goes Pop a year of so ago. It's always pretty much a certainty that any track which uses elements of Fall songs will end up on this site. "Nothing Can Go Wrong" re-cycles the "Big New Prinz" bassline to glorious effect and makes the whole thing brand new and shiny. 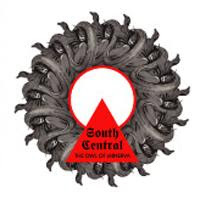 I've obviously missed quite a few South Central releases so this album goes some way to filling that void (although I'd rather have the original records). The Brighton bands debut album is expected early next year but if it's half as good as this it'll be quite a record.